The big picture: At just $36 million, it seems as if Sharp is getting a bargain for Toshiba’s PC business. Then again, it’s important to pull back and look at the big picture – PC demand is diminishing and many consumers now spend more money on their smartphones than they do computers. Japanese electronics maker Sharp is preparing to re-enter the PC industry after pulling out of the market in 2010. It’s not going at it alone as Sharp is buying an 80.1 percent stake in Toshiba’s personal computer business for $36 million and has the backing of parent company Foxconn. Toshiba sold the world’s first laptop computer in 1985. At its peak seven years ago, the company moved 17.7 million PCs but that figure shrunk to just 1.4 million units last year. Its struggles extended beyond the slowing PC industry, however, as the company has had to deal with an accounting scandal and the bankruptcy of its Westinghouse Electric unit. To generate cash, Toshiba sold its chip division to Bain Capital for $18 billion and its TV business to Hisense for $113 million. Foxconn purchased a controlling stake in Sharp a little over two years ago for $3.5 billion. Foxconn is the world’s largest contract manufacturer. With its backing, Sharp will be able to produce PCs more cheaply as it aims to re-enter the market. Hiromi Yamaguchi, senior analyst at Euromonitor International, said the acquisition will prove a further catalyst for more Sharp and Foxconn synergies. 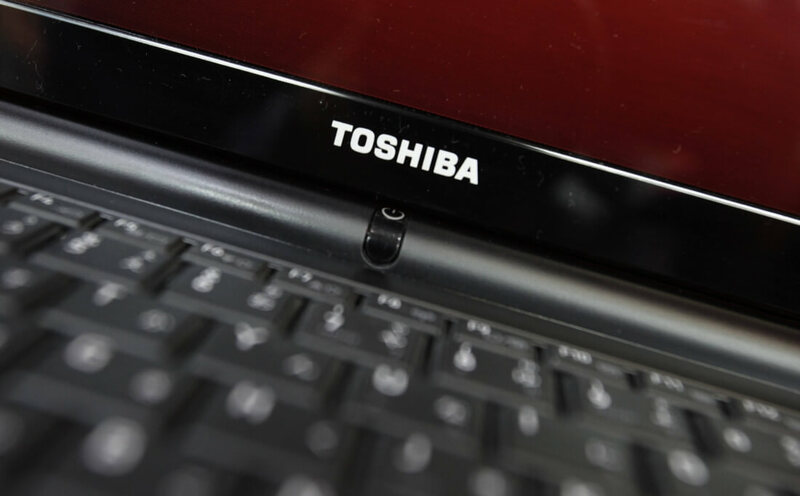 Sharp will take ownership of Toshiba’s PC business on October 1, we’re told, and will retain its Dynabook brand.